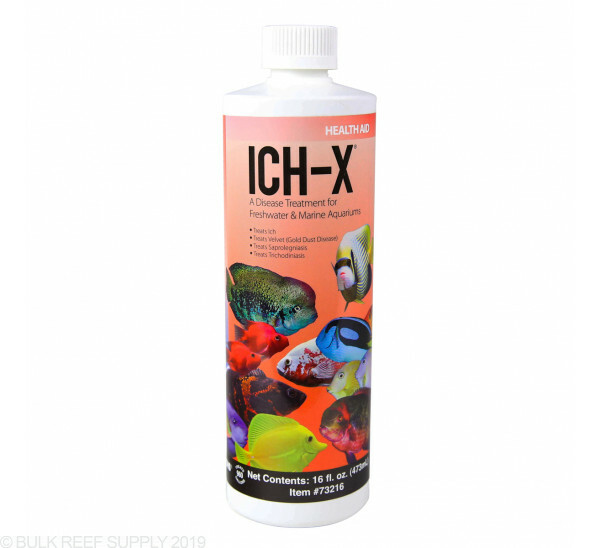 Treat the infestation of Marine Ich (Cryptocaryon irritants) in your aquarium with Ich-X from Hikari. Marine Ich is usually associated with environmental triggers like a change in water temperature, high levels of ammonia or low levels of pH. Signs of Ich can be loss of appetite, increased mucous layer and trouble breathing. 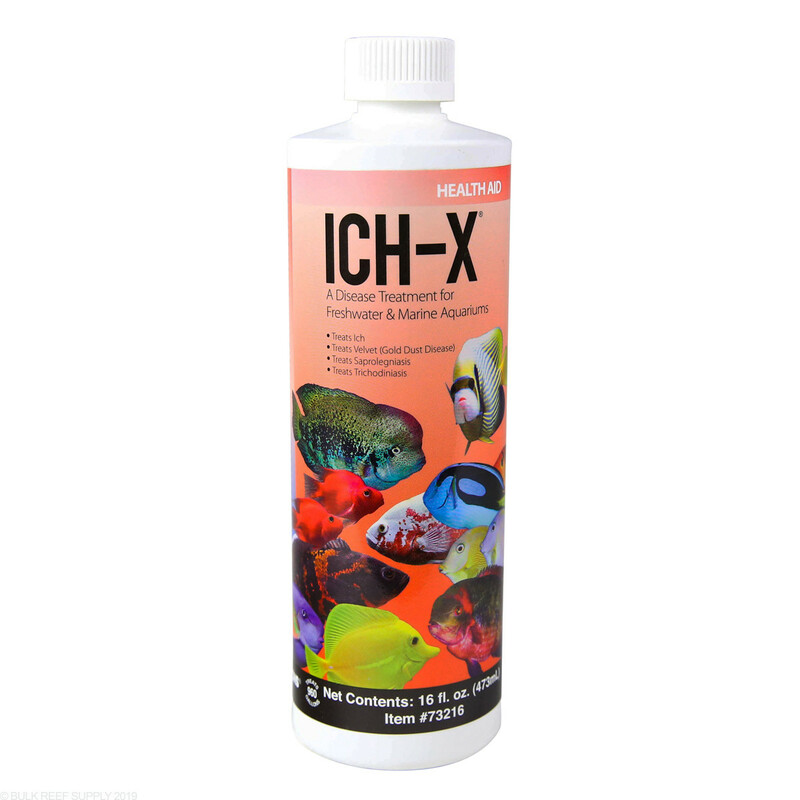 To treat "ich" disease (ichthyophthiriasis) of freshwater fishes and "marine ich" disease (cryptocaryonaisis) of marine fishes, add one (1) teaspoon (~5 mL) of Ich-X to 10 gallons of aquarium water. 1. Always treat in a separate quarantine/treatment tank. 2. Remove activated carbon from filters and clean or replace mechanical filtration media. Do not stop filtration! 3. Make at least 1/3 water change before each addition of Ich-X (use Ultimate to condition new water. 4. Repeat treatments at least every 24 hours, but no more often than every 8 hours, depending upon the course of the disease (refer to the Ich-X Product Data Sheet. Not for use in Reef Aquariums - DO NOT OVERDOSE.